Royalty-free stock illustration of a casually dressed man and a woman having a romantic dinner at home. 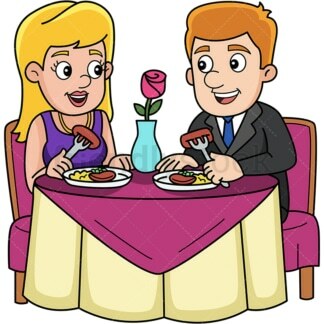 Royalty-free stock illustration of a formally dressed man and a woman having a romantic dinner at a restaurant. 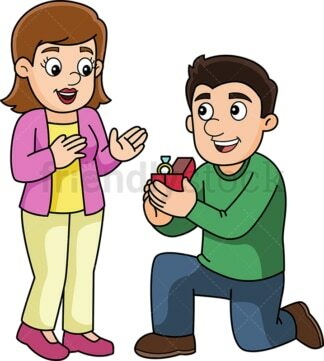 Royalty-free stock illustration of a man getting down on one knee to propose to his girlfriend with a diamond ring. Royalty-free stock illustration of a man and a woman eating popcorn and enjoying a soda while watching a movie at the theatre. Royalty-free stock illustration of a man putting his jacket on to his girlfriend to protect her from the shivering cold. What a happy couple! 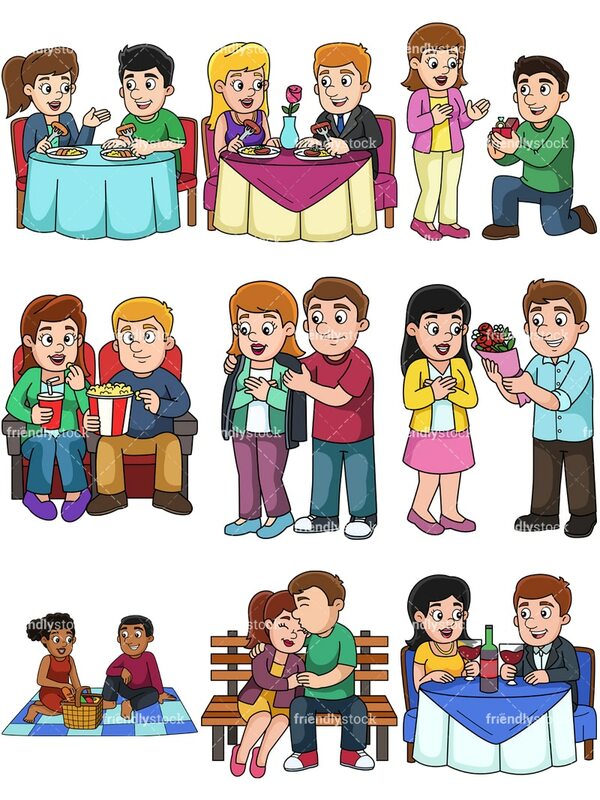 Royalty-free stock illustration of a man offering flowers to his beautiful girlfriend for Valentines Day. 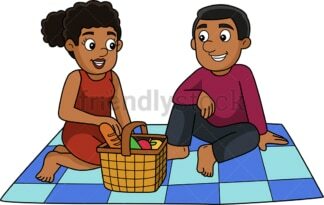 Royalty-free stock illustration of an African-American man and a woman, sitting on the ground with their shoes off, having a pic-nic at the park. Royalty-free stock illustration of a man kissing his girlfriend on the forehead while sitting on a bench at a park. Royalty-free stock illustration of a man and a woman having drinks while dating. Both are formally dressed and are looking happy, possibly celebrating a special occassion.